One of the great things about working in science is the possibility to travel to interesting places to attend conferences, listen to clever people and share own ideas and work. After a two years break I have attended back in the ICACC conference in Daytona Beach. Again, for the third time I really enjoyed it and in my opinion it is an excellent conference. I had a pleasure to present an invited talk in the SOFC/SOEC session, plus I presented a poster. I was very nice to be back at Risø Campus! As was the first conference in 2012, it was a really nice meeting. I was presenting one oral contribution and two posters, plus one poster presented by B. Kamecki. "Processing of thin and dense oxygen electrode layers for solid oxide cells prepared by low temperature spray pyrolysis technology" - B. Kamecki, J. Karczewski, P. Jasinski, S. Molin (poster awarded with a 2nd prize in poster competition). I had an oral presentation where I have shown results from my recently finished project about superheater coatings. I have attended a conference organized by my Department. It was the first topical conference about electrolysis, science and more about technology. Really nice meeting with plenty of networking opportunities. I have presented a poster about my corrosion activities in the field of SOEC interconnects. Second year in a row I have been able to attend this nice conference. Again the conference has been fantastic and weather in Florida also very nice change from the Danish darkness and cold. Again, I had two oral presentations and one poster presentation. I was also a co-author of one more oral presentation. Full program of the conference is available HERE. On 15th and 16th March 2015 I have attended a 2016 HTC/KME research symposium (my 2nd one) organized by High Temperature Corrosion research centre at Chalmers. I spend 2 days in the beautiful city of Lund. Symposium was really nice, a lot of technical development made in Scandinavia. I had two oral presentations and one poster presentation. I was also a co-author of one more oral presentation. This conference was definitely one of the best that I have been to. Very technical which I found very good for my background. Would love to go there next year! On 25th and 26th March 2015 I have attended a HTC/KME research symposium organized by High Temperature Corrosion research centre at Chalmers. I have become involved in a project in cooperation with Babcock & Wilcox Vølund in Denmark. They are a part of the HTC centre at Chalmers so I had a chance to attend a symposium on recent progress in high temperature corrosion. Great experience and a very good sceintific presentations on applied science. "High temperature corrosion of ferritic steel porous supports for protonic fuel cells working at 600°C". This work is performed within the FP7 funded project Metprocell. I am not attending this conference. Nikos has got an invited talk (about isotope effects in protonic conductors) and additionally, he present a poster "Interaction of nickel with steel support in protonic fuel cell" S. Molin, M. Chen and N. Bonanos. 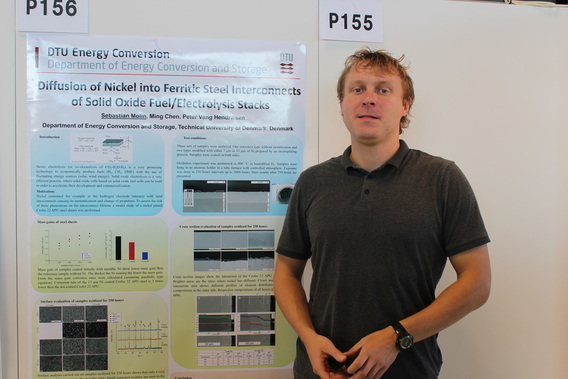 "Diffusion of Nickel into Ferritic Steel Interconnects of Solid Oxide Fuel/Electrolysis Stacks"
Proceedings of the conference appeared in ECS Transactions. Conference organized in cooperation with the Metprocell project where DTU Energyconversion is one of the partners. 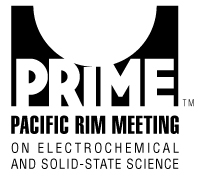 I have presented an oral presentation "High temperature corrosion of stainless steels for potential use as interconnects in Proton Conducting Fuel Cell stacks" (S. Molin, P.V. Hendriksen, N. Bonanos). Conference organized by our Department. I have presented a poster "Ceria protective coatings for Crofer 22 APU interconnectors for Solid Oxide Electrolysis Stacks" (S. Molin, M. Chen, P.V. Hendriksen). "High Temperature Oxidation of Ferritic Steels for Solid Oxide Electrolysis Stacks"
Proceedings after the conference appeared in ECS Transactions. Organized by a Höganäs comapny in Sweden, it gave a chance to meet other people interested in metal powders, their applications and properties. Good forum to make international contacts in the community. ​Recently (November 2013) I took part in a Design of Experiment training organized by our Department. We have licence for Umetrics Modde 10 package and included were several training places. This intensive two day training held by a Umetrics representative was in my opinion excellent. So far my experiments and planning were mainly based on intuition, which in my opinion worked quite good, but having an additional tool even just to recognize some possible limitations and directions is only a good thing. I really enjoyed this training and would recommend it to anyone. 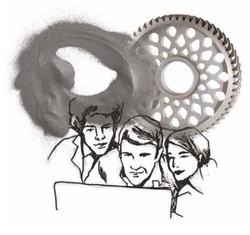 School included some of the best scientists in the field of ceramic processing (amond others: prof. Thomas Graule, EMPA, prof. Eugene Olevsky, San Diego State University, prof. Andreas Roosen, University of Erlangen-Nuremberg).